CD Like New. Greatest Love. One Lonely Knight. Hier folgende 2 CD / Here following 2 CD It is an extraordinary story, the very stuff of legend. I'm A Steady Rollin' Man. Dead Shrimp Blues. From Four 'Til Late. Stop Breakin' Down Blues. Stop Breakin' Down Blues (Alt. ). ROBERT JOHNSON - THE COMPLETE COLLECTION 2 CD NEW! Hier folgende 2 CD / Here following 2 CD It is an extraordinary story, the very stuff of legend. I'm A Steady Rollin' Man. Dead Shrimp Blues. From Four 'Til Late. Last Fair Deal Gone Down. Stop Breakin' Down Blues. This is an original CD (not a copy) and is in EXCELLENT CONDITION. Dead Shrimp Blues 2.36. I'm a Steady Rollin' Man 2.37. Last Fair Deal Gone Down 2.39. Stop Breakin' Down Blues 2.17. Stop Breakin' Down Blues(Alt Version - Take 2) 2.23. Drunken Hearted Man 2.27. Drunken Hearted Man(Alt Version - Take 2 2.21. ). This is the REMASTERED King Of the Delta Blues compilation CD from 1997, on Columbia/ Legacy Records, made in USA. 2 Traveling Riverside Blues 2:44. 3 Walkin' Blues 2:28. 6 Kind Hearted Woman Blues 2:49. PREVIOUSLY PLAYED DISC HAS A FEW LIGHT SURFACE SCRATCHES- HOWEVER PLAYBACK IS PERFECT. Hier folgende CD / Here following CD 'Tis late and cold. Adieu, fond love. Have you seen the white lily grow?. Full fathom five. Allemand III. Allemand II. Allemand I. TITLE:40 CLASSIC PERFORMANCES (2CD). ARTIST:ROBERT JOHNSON. LABEL:R2CD 40-14 / RETRO / 1997. THE GOLD COLLECTION SERIES. Case has a crack on the top and light scratching. Traveling Riverside Blues. Walkin' Blues. Kind Hearted Woman Blues. Stop Breakin' Down Blues. 32-20 Blues. Terraplane Blues. Dead Shrimp Blues. Milkcow'S Calf Blues. MARTIN SCORSESE PRESENTS. ROBERT JOHNSON. Hier folgende CD / Here following CD From Four Until Late 2:23. Hot Tamales (They're Red Hot) 1:41. Last Fair Deal Gone Down 3:45. Love In Vain 2:20. 32-20 Blues 2:48. No back orders. 18-12-14 - S. San Antonio Recordings. Dallas Recordings. Dead Shrimp Blues 2:35. Last Fair Deal Gone Down 2:41. I'm A Steady Rollin' Man 2:40. Johnson Speaks—Test Groove Before Love In Vain Blues. ROBERT JOHNSON: THE TRIBUTE SONS & DAUGHTERS; FATHERS AND FREINDS. 6 Rising Sons Last Fair Deal Gone Down 02:38. 3 Robert Johnson Love In Vain 02:15. 7 Robert Johnson Milkcow's Calf Blues 02:14. CD in excellent condition with original case and inserts. Great CD at a great price! Title THE COMPLETE RECORDINGS. Artist ROBERT JOHNSON. ☆★☆★☆★ JAPAN PRESS CD. MINT>EXCELLENT>VERY GOOD>GOOD>POOR. INSERT:VERY GOOD. Original CD (not a copy). Disc: light marks not affecting playback. Compilation CD, No.6 in the “Blues Collection published by Orbis featuring. Robert Johnson. Kind Hearted Woman Blues. Terraplane Blues. 32-20 Blues. Walkin’ Blues. Preachin’ Blues. Phonograph Blues. Dead Shrimp Blues. Stop Breakin Down Blues. When You Got a Good Friend. Preachin Blues (Up Jumped the Devil). Drunken Hearted Man. Malted Milk. Little Queen of Spades. Hellhound on My Trail. When You Got A Good Friend (Take 2). Hier folgende 2 CD / Here following 2 CD Erstmals wurden seine original 78er und Acetate durch modernste Studiotechnik auf ein Soundlevel erste Güte gebracht. From Four Until Late. 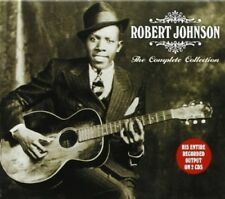 ROBERT JOHNSON - THE COMPLETE RECORDINGS 2 CD NEU. Kind Hearted Woman Blues (Take 1). Kind Hearted Woman Blues (Take 2). Dead Shrimp Blues. Terraplane Blues. Phonograph Blues (Take 1). Phonograph Blues (Take 2). Robert Johnson - From Four Till Late. From Four Till Late. Hier folgende CD / Here following CD They're Red Hot. Freigegeben ab: Ohne Altersbeschränkung. "Rock" (Rock / Rockpop). Last Fair Deal Gone Down. Terraplane Blues. Kindhearted Woman Blues. Preaching Blues. Hier folgende 2 CD / Here following 2 CD Walking Blues. Stop Breakin' Down Blues (Alternate Take). Stop Breakin' Down Blues. Milkcow's Calf Blues. Kindhearted Woman Blues 2:52. Terraplane Blues 3:02. 32-20 Blues 2:54. Walking Blues 2:31. Preachin' Blues 2:53. Phonograph Blues 2:41. Stop Breakin' Down Blues 2:18. Traveling Riverside Blues 2:46. 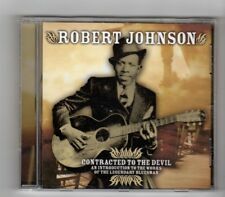 Robert Johnson - The Complete Collection (2CD 2008) NEW/SEALED. This 2CD set features all the songs written by Robert Johnson.Also available on Vinyl. Dead Shrimp Blues. When You Got A Good Friend. When You Got A Good Friend (Alt. ). HERE WE HAVE A CD ALBUM FOR SALE. It's quick & it’s easy. DISC IS IN A LIKE NEW CONDITION. Artist:ROBERT JOHNSON. CD / AUDIO TAPE. Format:2 CD SET. Title:GOLD COLLECTION. DOUBLE CD'S/RECORDS/TAPES/DVD'S COUNT AS A BOX SET. CD BOX SET. RECORD BOX SET. BOOK - HARDCOVERS. Jewel case and inserts are in excellent condition as well. POP CULTURE PARADISE. Robert Johnson. 40 Classic Performances. The Gold Collection. Very Good and Excellent grades may have light surface scuffs or scratches. They are all handled with care and gently used. Country produced in. JOHNSON,ROBERT. Hier folgende CD / Here following CD 'Tis late and cold. Adieu, fond love. Have you seen the white lily grow?. Full fathom five. Allemand III. Allemand II. Hellhound On My Trail 2:36. CD in mint/near mint condition in jewelcase. I Believe I'll Dust My Broom 2:58. Rambling On My Mind 2:50. I'm A Steady Rollin' Man 2:36. Honeymoon Blues 2:17. 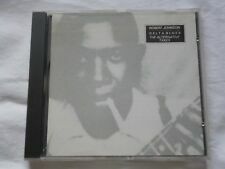 ROBERT JOHNSON - FROM FOUR TILL LATE CD NEW! 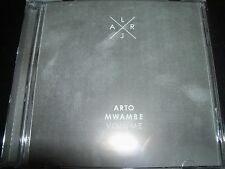 ROBERT JOHNSON "MARTIN SCORSESE PRESENTS..." CD NEW! ROBERT JOHNSON - VERY BEST OF ROBERT JOHNSON 2 CD NEW! Format: 2X CD, compilation, mono, fatbox. Genre: Delta blues. CD in very good condition in jewelcase. Jewelcase may have stickers (see scans) and may be worn/marked consistent with age and storage.